These days people are more conscious about their health and lifestyle. At the gym, heart rate monitors are available for the members to use. The gadget like devices are great when you are at the gym and at home, but to carry them around is unpractical and perhaps even awkward. People are more active these days. For many people the days are becoming fully scheduled. Most of the time we are busy with all kind of things and in a hurry to be somewhere on time. The need for a smaller device to track your activities becomes a necessity. 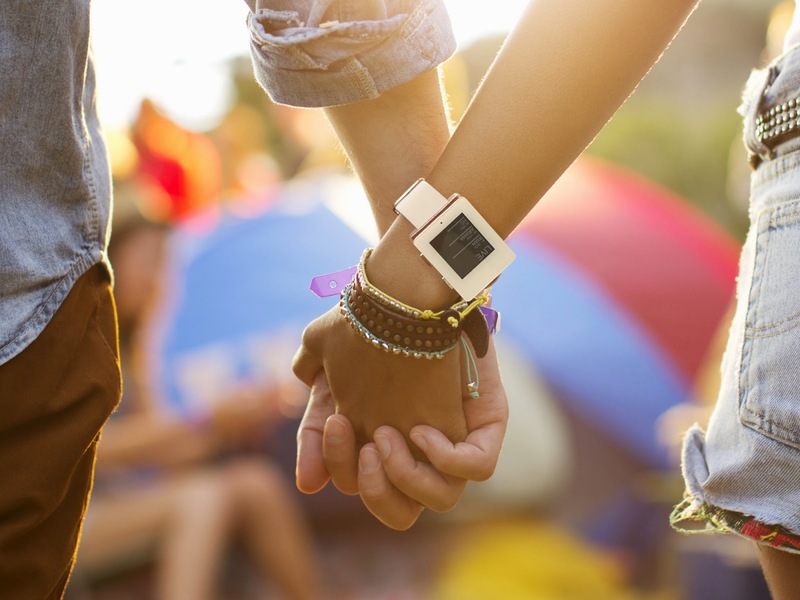 Therefore activity and fitness trackers have become a trend. There is increasingly wide range of devices available to consumers. Whether it is a simple step counter or more advanced devices with heart rate monitors. The range of complexity and design is significant for consumers. There are activity watches in variety of brands, colors and design available such as the Apple watch, LG, Fitbit, Garmin, Pebble and Pyle among others, that look like sport's watches. However none of them is like the Wellograph. 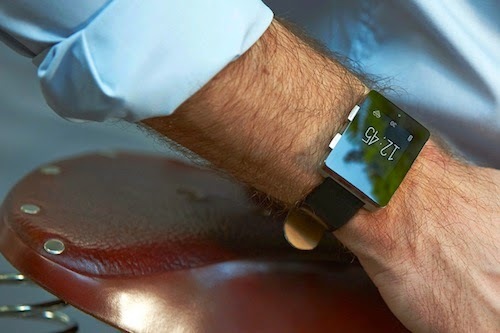 The device offers more than just being a smart watch. Wellograph is an activity tracker, heart rate monitor and a runners watch. This wellness watch is perfect for people, who like to keep track of their activities and health condition, but still want to be trendy. Let's just say that Wellograph is a wellness watch with the sense of fashion and luxury. 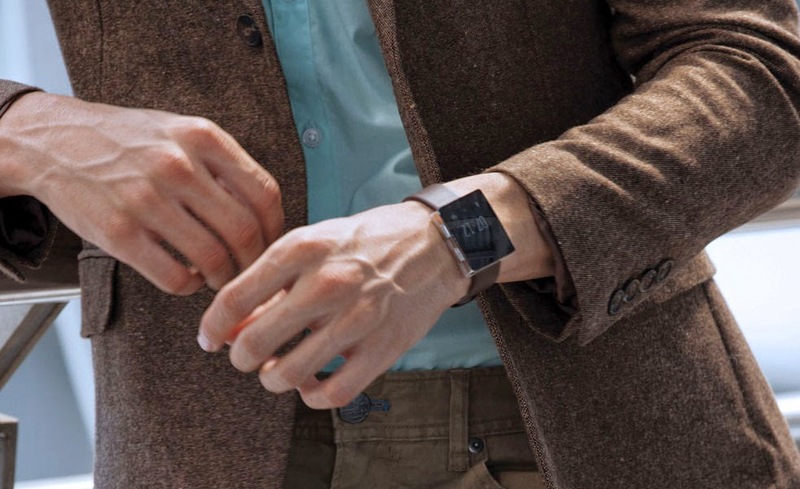 Wellograph is wellness watch you actually want to wear and show off. This wellness watch will fit all environment. It is the type of wellness watch that you can wear with a tuxedo or an elegant dress and will not be out of place or a fiasco. The Wellograph Wellness Watch looks fancy and trendy comparing to other wellness watch, activity tracker or heart rate monitors. This wellness watch falls into the High Fashion category. The difference is that it has functional features such as the continuously heart rate tracking. The Wellograph Wellness Watch is thicker than the usual trackers, but it has a curved back that will fit comfortably against the wrist. The Wellograph is not unusually heavy, but it is also not like a standard watch. It is not as heavy as metal, but also not as light as Timex. With regular usage, five to seven days of battery life are not uncommon for the Wellograph, that recharges through an included base station powered by USB. The wellness watch has a stainless steel upper case and an anodized aluminum lower case, that radiates quality. The 2 buttons on the right side of the case control the user interface. The bottom button sends you to various information screens, including Activity, Pulse, Session, and Settings. Settings: change device settings, clock face options, toggle Bluetooth, reset, power down, etc. The Wellograph Wellness Watch also comes with a 1.26 inch low power LCD screen with intergraded back light, 9-axis motion sensor, Bluetooth 4.0 LE and 4 month Data record capacity. The dial can be set on to digital or analog. Additionally, the wellness watch has a Windows Phone app that is compatible with iOS and Android, including a few bonus features like a Live Tile. Wellograph Live allows users to compare their stats to friends and send and receive encouragement. One of the amazing, exceptional feature and big advantage that other wellness watch does not have it is the Wellograph Sapphire Crystal Glass as display. Yes... Wellograph is the First Sapphire Crystal Wellness Watch. The benefit of Sapphire crystal glass is that it will prevent the display from being scratched, just like the high valued timepieces. Wellograph is waterproof to 5ATM. That is up to 50 meters or 160 feet. For 2015, the company has increased the numbers of colors for the case and strap. The 2 new colors available for the case along with updates are "White Pearl" and "Rose/Pink Gold". 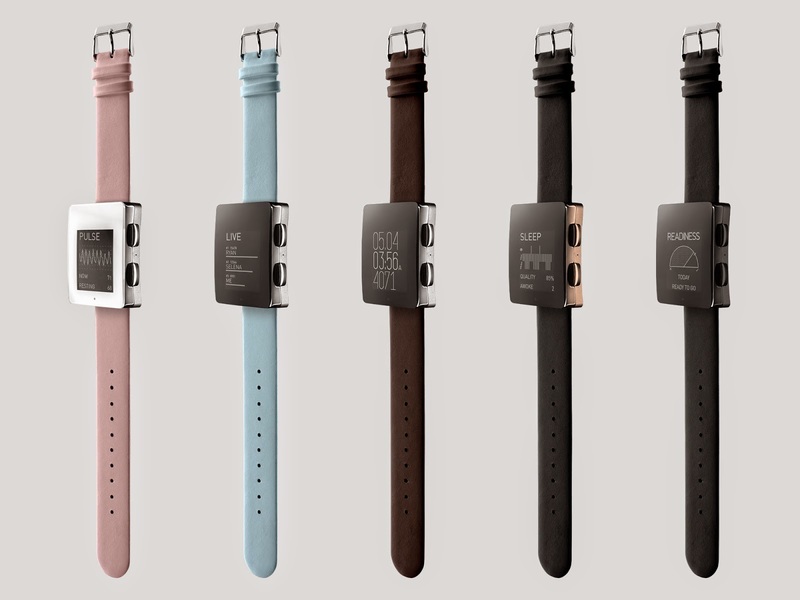 The new straps are available in 3 colors, which are "White leather", "Light Blue leather" and "Pink leather". These bright colors will definitely be suitable for the summer to come and will match perfectly with the summer outfits. The case and straps will be available for purchase separately. The watch and strap will start at $329,00.